Amritsar, India, 1888. In a bustling marketplace a young boy, Lehna Singh, meets a girl, Leela. He cheekily asks her, “Are you betrothed?”. She runs away, shyly. The season passes. Again they meet and Lehna teases her with the same question. On their third encounter, the girl replies: “Yes, I was engaged just yesterday – see my silken shawl.” Only betrothed women wore these. Lehna despairs. 7 years later: Lehna discovers that the British Army is recruiting Indians in Punjab. He joins up and begins his training. 19 years later: Lehna is a junior officer in the British Army. Granted a month’s leave, he returns home. War is declared. 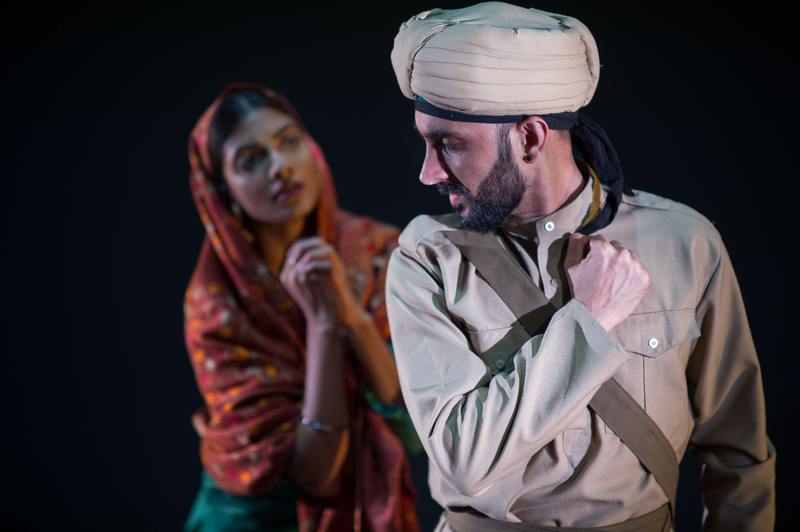 On visiting the home of the Subedar (Captain) before travelling to the front, Lehna discovers that the Subedar’s wife is the girl he met in the marketplace. Taking Lehna aside, Leela asks him to promise that he will protect her husband and son, Bodha, who is part of the same regiment. Belgium, 1915: As war rages, the 77 Sikh Rifles keep their spirits up in the trenches with songs. But Bodha is seriously ill. Lehna cares for him. A German soldier, impersonating a British officer, infiltrates the trench and commands a group of men to mount an attack. Lehna remains with Bodha but becomes suspicious of the imposter when he offers Lehna a cigarette (a real British officer would have known that Sikhs do not smoke). A struggle ensues; the spy is killed and Lehna is mortally wounded. The Germans launch a full-scale assault on the trench, but are trapped as the Subedar’s men return, having discovered their mission was a decoy. The 77 Rifles are victorious but both Bodha and the Subedar are injured. There is no space in the ambulance for three so Lehna insists that they go ahead. As they leave, he asks them: “When you see her, tell her that I kept my troth.” Drifting out of consciousness, he mumbles “She had said so” and dreams of home.